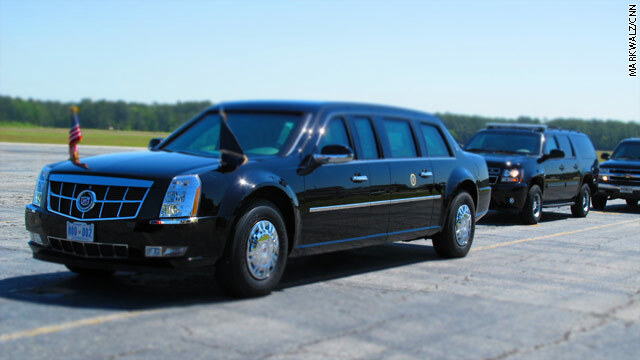 (CNN) – In a sign of solidarity, President Barack Obama will begin using the standard license plate for the District of Columbia, which famously states "Taxation Without Representation," on presidential vehicles, a White House official confirmed Tuesday. The move comes after the city council for Washington, D.C. petitioned the president last week through a resolution, demanding that Obama use the license plates as millions watch his presidential motorcade drive down Pennsylvania Avenue for his inauguration on Monday. "President Obama has lived in the District now for four years, and has seen first-hand how patently unfair it is for working families in D.C. to work hard, raise children and pay taxes, without having a vote in Congress," the White House official said in a statement. ENJOY YOUR REGURGITATIONS. WE DO HAVE THE EDUCATION AND CAN COUNT TO AT LEAST 666 AND GET YOUR MESSAGE. You apparently lack the education to string a few syllables together to form a coherent sentence. It is an uninformed, under-educated, over-emotional electorate; People like you, are the reasons we have situations like the fiscal cliff, the debt ceiling negotiations, and crippling gridlock in Congress. Shame on all of you. Please go read a book. Any book where you can learn something. ANYTHING. IS BARACK HUSSEIN OBAMA. EAT YOUR LITTLE COLD HEARTS OUT!!!! Democrats and those who voted for Obama the first time were big on having the issue of healthcare front and center. Tired of being ripped off by insurance companies who continued to raise premiums and deny coverage at the same time. When 50 million people go without healthcare it becomes more of a burden on the taxpayers. I am happy to be able to now get a proper plan that doesn't refuse me because other people in my family had health issues although I never have had them. As far as those who actually live in Washington D.C. I feel sorry that their school system, their transit system, etc. gets the shaft as they are without a voice in the governing of their own city but still pay taxes. Congrats on being a voice for change, Mr. President. I'm sure those that live in that city applaud the public acknowledgement. Exactly right. When uninsured people go to the emergency room for treatment, the bill eventually lands at the feet of the taxpayers. The Affordable Care Act ensures that those who are insured and have pre-existing conditions are denied coverage while simultaneously making "freeloaders" pay into the system. It also helps to prevent a family like yours going into medical bankruptcy. It's definitely not perfect. Its over 1,000 pages long, there's definitely some bad stuff in there. It needs work but shouldn't be the object of this intense vitriol we're seeing from Conservatives and the uninformed. I can respect different opinions of my own as long as they're logical, rational, and based in reality. But what we've been seeing since 2009 I haven't seen much that fit the criteria. It is so called because of its size and weight....and the license plate is "Taxation Without Representation" due to citizens in D.C. not having a voting voice in government. Buy a clue! --SORT OF LIKE GIVING THE BOOK ON SOCIALISM BACK –SO TO SPEAK ,IF YOU RECALL OB GETTING A HANDOUT AT THE UN FROM THE HEAD OF THAT GREAT AND FAILED EXPERIMENT. OUR OBAMACARE WOULD END THE PROBLEM AT OUR END OF THE DEAL. GOP just wants what they always want: deprive people of their voice in the government. Well Steveo.... they needed 67 super majority filibuster proof votes in the Senate to give the citizens of D.C. the right to representation. But the GOP doesn't want D.C. to have 2 Senators.....Wyoming has a smaller population than D.C. but it has the same number of Senators as any other state. Simply in most elections D.C. residents would vote Democratic. @jean, Thanks for the info but Fran beat you to it! @jean. believe it or not but I believe ALL Americans deserve proper representation. ALL of them. I don't know that I would support 2 senators as DC is not a state but for sure they deserve a voting voice or two in the Congress, even if those voices are liberal ones. to Steveo – here is an example of an attempt to give voting representation to DC. On April 18, 2007, Rep. Steny Hoyer (D-NY) proposed the District of Columbia House Voting Rights Act of 2007. The new legislation would have given the District of Columbia one voting representative in the U.S. House. DC currently has no voting representatives in either chamber of Congress. On September 18, 2007, the U.S. Senate voted 57-43 to allow a vote on the legislation, which effectively killed it. The bill needed 61 votes to override a Republican filibuster, and 67 votes to override a presidential veto. Thank you Fran. I'm betting LT Fang did not know that either! You keep using the word dictator, I do not think it means what you think it means. You really need to stop watching Fox News so much. you guys still cant see that obama is a dictator need to wake up its not a joke this isnt left vs right this is the citizens vs the regime. some more laws obama signed jan 1 2011 national defense authorazation act lock up any american without due process of law or lawyer. Socialized Medicine Obama Care 1.8 trillion tax hike he is starting a race war as well very racist president look at obamas prposed laws. Taxation without representation my god that has happened to me my whole life. I vote libertarian every year and can truly say I haven't done anything to harm this country unlike the rest of you idiots voting democrat or republican. I have truly been taxed without any representation and would like my money back ASAP. So, you voted and whatever majority that voted for the other – out voted you. That's a Democracy for ya. Geesh. At least you got to vote. Feel free to enjoy roads, protection by our military, law-enforcement and Nat'l Parks just to name a few. Duh. Moose: You lost – all the belly aching – Faux spewing talking points and overall ignorance does not change THAT FACT LOL!!!!! How is the GOP depriving anyone of their voice in government. You could check out their efforts at voter suppression in Florida, Ohio, Pennsylvania, Wisconsin, Michigan, Texas. Give me one specific example. I heard about the made up voter suppression in Florida that the Democrats used as a political talking point that wasn't true, but what voter suppression? Was there an armed guard sitting outside of the homes of Democratic voters not letting them out? Example of voter suppression: Take a small Midwest Republican district with a east and west coast populated student body attending a mainly Democratic university located in that district. Cut the number of hours the poling place is open, and the number voting machine available to a bare minimum, and only have one precinct for the entire village and campus....use your oldest and sometime on the verge of breaking voting machines...watch the voting lines grow to length that people tire of waiting to vote. IS DC a state? It was promised that all states would be represented, so I think if DC wants to become a state than they can come and have 1 Representative and 2 Senators, but that also means changing the number of Senators and Representatives. Does Puerto Rico get a vote in the Senate? It's a district and all districts in the United States should have voting representation in the House. Perhaps you were thinking of Puerto Rico. The last censes in Wyoming had the population of Wyoming at 568,158 people. There is something close to 600,000 people living in the District of Columbia. I am a bit confused by this issue. I can understand why they are pushing for a representative who can vote in the House but are they pushing for statehood as well? What would be the rationale for such a move? I think the true issue is to allow DC a voting rep or two in the Congress. Currently I would oppose having senators but only because DC is not a state! But as far as a voting member or two in Congress, yes, regardless of party! I'm saying if people in Wyoming have 1 representative and 2 senators...so should the people in D.C. the citizens of D.C. pay more federal taxes per person than every other state in the union at $1.6 billion. Twenty states have lost fewer citizens in our nation's wars than the families of D.C.. The economy of Washington D.C. is larger than that of 14 states. @jean, seats in Congress are based upon population, not seats in the Senate! Again, I agree 1 or 2 seats in Congress should be made available to the citizens of DC. the people who live work and sweep streets, collect trash. keep the lights on, drive taxis, operate restaurants...and the many jobs it takes to run a city...cannot cast a ballot to vote for someone to represent them in Congress....they pay taxes....so That is taxation without representation at its very core. Giving them the right to be represented has been something the GOP has fought happening. They can claim corporations are people (Citizens United) but are against actual citizens having a right to representation. You know what, you legitimately have a point, maybe they should be represented in the House. But I don't know about the Senate, so I'm kind of with steveo. But y'all make a point. You poor poor republicants you have a lonnnnnnnnnnnnnnnnng time to be in angryland. You all will lose i 2014 ad 2016. It's just that the world, the world, no longer want the hate you are selling. Sorry Punks and punketts.